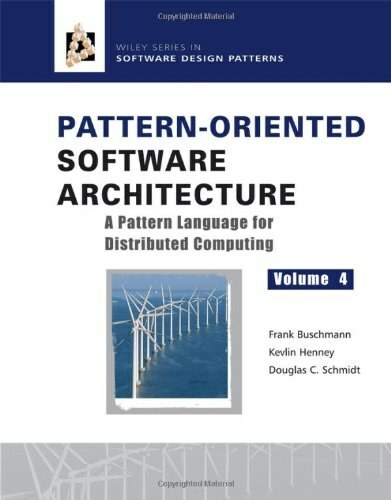 This award-winning book, substantially updated to reflect the latest developments in the field, introduces the concepts and best practices of software architecture--how a software system is structured and how that system's elements are meant to interact. Distinct from the details of implementation, algorithm, and data representation, an architecture holds the key to achieving system quality, is a reusable asset that can be applied to subsequent systems, and is crucial to a software organization's business strategy. Drawing on their own extensive experience, the authors cover the essential technical topics for designing, specifying, and validating a system. They also emphasize the importance of the business context in which large systems are designed. Their aim is to present software architecture in a real-world setting, reflecting both the opportunities and constraints that companies encounter. To that end, case studies that describe successful architectures illustrate key points of both technical and organizational discussions. Topics new to this edition include: * Architecture design and analysis, including the Architecture Tradeoff Analysis Method (ATAM) * Capturing quality requirements and achieving them through quality scenarios and tactics * Using architecture reconstruction to recover undocumented architectures * Documenting architectures using the Unified Modeling Language (UML) * New case studies, including Web-based examples and a wireless Enterprise JavaBeans(t) (EJB) system designed to support wearable computers * The financial aspects of architectures, including use of the Cost Benefit Analysis Method (CBAM) to make decisions If you design, develop, or manage the building of large software systems (or plan to do so), or if you are interested in acquiring such systems for your corporation or government agency, use Software Architecture in Practice, Second Edition, to get up to speed on the current state of software architecture. 1. Where do architectures come from? 2.They spring from the minds of architects, of course,but how? -> different type of architecture has different advantage and disadvantage and different domain requirement has different problem, the architecture need to match the problem. So it need to make the architecture capture the requirement . How ? The architecture define the component and its cooperation between them. Beside it, the architecture is guide( assumption, principle) for the following software building. If the architecture is make, the following design and development will be impacted. And also the change on the architecture is hard to change. What must go into the mind of an architect for an architecture to come out? -> understand the requirement and architecture type. For that matter, what is a software architecture? Is it the same as design? If so, what's the fuss? If it's different, how so and why is it important? --> both of them are design. In the high level design is architecture and in low level is design( design pattern or language idiom ) . The high level is not easy to change if it has make decision while the low level will easy to change . So the architecture need to capture the essential of the requirement, the unchanged part.